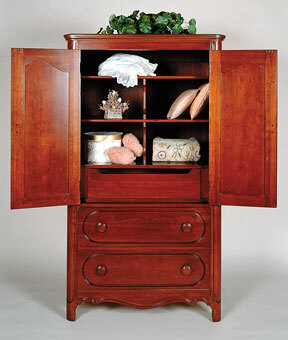 For generations, American homes have been graced by the ageless Lillian Russell Bedroom, continuously produced by Davis Cabinet since 1931. Named for a celebrated beauty of the day, Lillian Russell blends the pure-lined character of the late Victorian period with the soft elegance of such elements as intricately carved grape and leaf pulls, now a famed hallmark of the design. 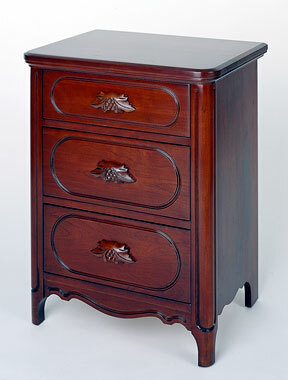 Each collector's item is meticulously crafted from solid cherry... hand-rubbed in two classic finishes. 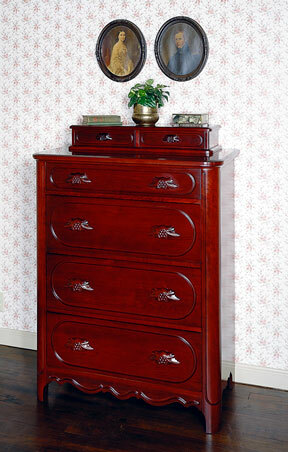 Every detail evokes a decade's old tradition in fine cabinet making that has earned Lillian Russell its place as a American classic. 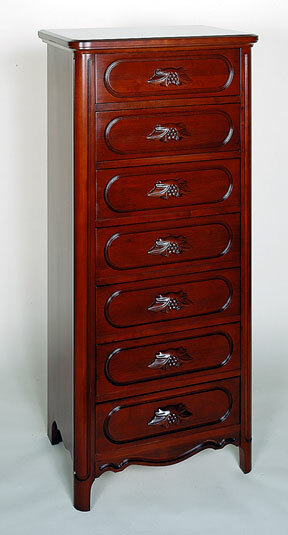 With pride, Davis Cabinet continues to offer Lillian Russell... Quality furniture made to become a valued family heirloom. 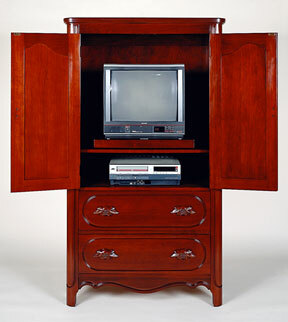 PLEASE NOTE: Great care has been taken photographing these fine lines of furniture. 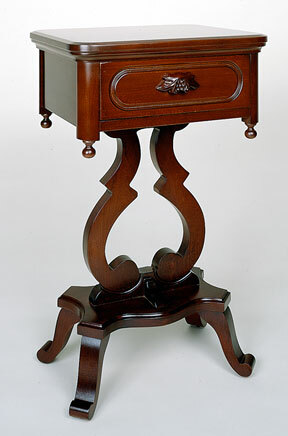 The reproductions on this website resemble the actual furniture as closely as the photographic processes and internet will allow. 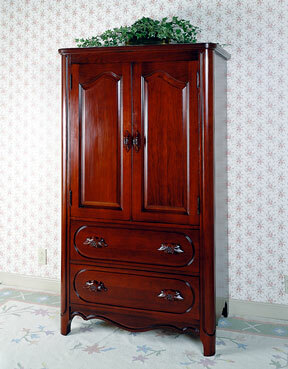 Some photographed finishes may vary slightly from the actual finished product. As always, finishes from different production runs may vary slightly. 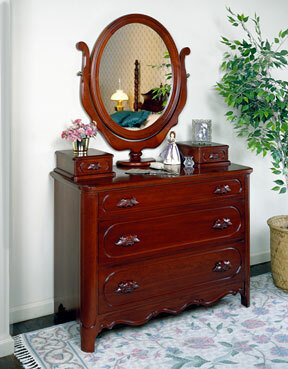 Finish: Shown in Collector's Cherry Finish. 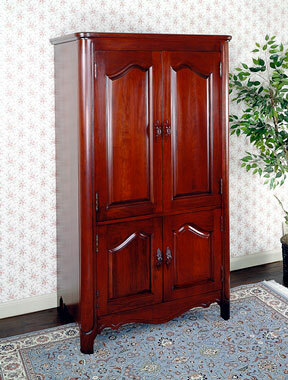 Dimensions: 26"x19"-64H" Mirror Frame 53"x20"
Descriptions: Top Doors: (See 2325 Entertainment Cabinet) Two storage drawers, one fixed shelf for components, one pull out TV Swivel. 22 3/4" clearance Behind doors. 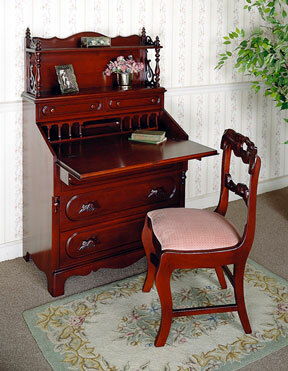 Descriptions: One interior drawer, one set of adjustable shelves with removable partitions. One adjustable shelf in bottom two drawers. 22 3/4" clearance Behind doors. 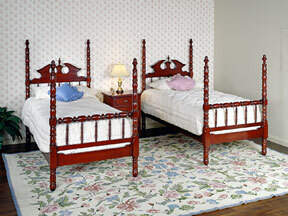 Dimensions: Headboard 42H, Footboard 32H, Approximate Bedding Height 26"
Dimensions: Headboard 64H, Footboard 56H, Comes complete with 76" bedrails Approximate bedding height 28"
Descriptions: Also Available as: 2333 Twin Headboard only 3/3. 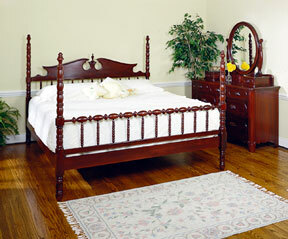 Attaches to stationary bed frame. 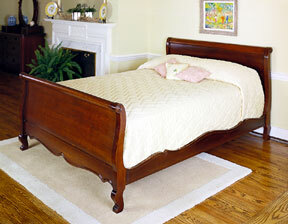 And 2335 Queen Headboard only 5/0. 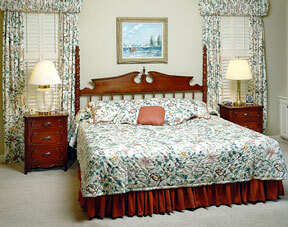 Attaches to stationary bed frame. 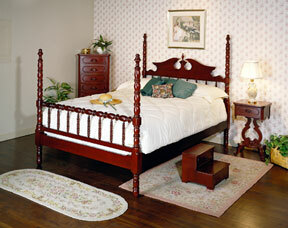 Dimensions: Headboard Post 64"H, Footboard Post 56"H, Approximate Bedding 28"
Finish Shown in Collector's Cherry Finish. 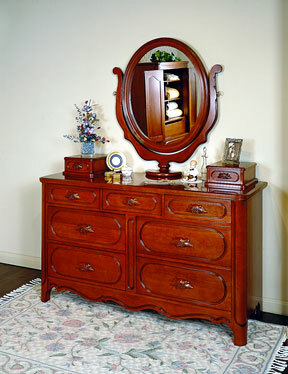 Dimensions: Headboard Post 64H, Footboard 56H, Comes complete with 82" bedrails and center support rail with brackets Approximate bedding height 28"
Dimensions: For the Lillian Russell Double Dresser 55Wx38H Mirror Plate 24x30 Shown in upper right corner.